Alvin "Pete" Martin Riechmann Jr. 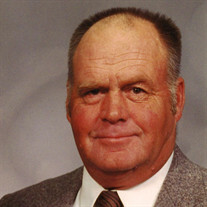 The family of Alvin "Pete" Martin Riechmann Jr. created this Life Tributes page to make it easy to share your memories. Alvin &quot;Pete&quot; Martin Riechmann Jr. Send flowers to the Riechmann's family.